Our Mega Reach Telescoping Aluminum Poles are guaranteed to make your housekeeping job much easier. These poles are made of aluminum providing you with a lightweight but sturdy extension for any job. This pole has standard broom handle threads on the receiving end. 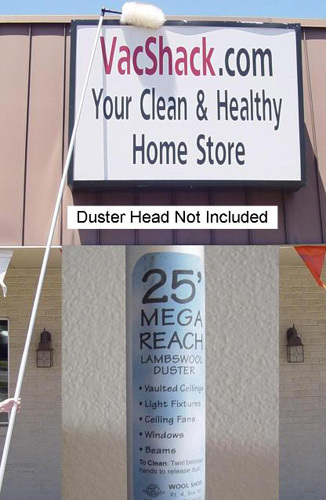 Telescoping from 6’ to 25’ long these poles are a must for cleaning vaulted ceilings and ceiling fans.